Chief Minister Harish Rawat managed to seek Rs 500 for Ardh Kumbh Mela which will take place in Haridwar next year. Harish Rawat met Prime Minister Narendra Modi in a meeting held at Delhi in which he was able to drew his attention towards Ardh Kumbh Mela which will be held next year in Haridwar. He told him that around seven crore pilgrims are expected to be a part of Ardh Kumbh Mela and sought Rs 500 crore for this purpose. He told Modi that NITI Ayog had already provided funds to several states for starting the preparations of Ardh Kumbh Mela. 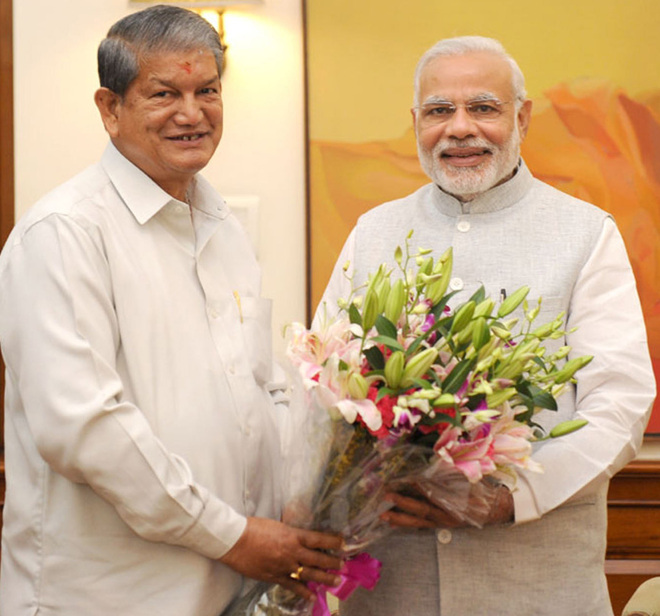 Harish Rawat said Uttarakhand was bestowed with a special status in 2001 by the Centre and requested the Prime Minister for maintaining its stature. He stressed that the Central Government should provide 90% funds for central schemes. He also laid stress on schemes such as Pradhan Mantri Grameen Sadak Yojana for driving the attention of Prime Minister towards it. As the 121 detailed project reports of various roads under the Pradhan Mantri Grameen Sadak Yojana has been rejected recently. Harish Rawat also demanded a speedy action on the proposal sent by state for the setting up medical colleges in Almora, Rudrapur and Dehradun as there is lack of doctors in the state. He also demanded Rs 207 crore in order to set up a cancer institute at Haldwani Medical College and also requested him for sanctioning 330 MW Lakhwar and 660 MW Kisau hydropower projects.